St John’s in the Village, along with the Episcopal Church nationally, is concerned with the welfare of refugees. Our particular focus here at St John’s is on those refugees who have been resettled here by the US Government from processing camps on Manus Island (Papua New Guinea) and Nauru (a sovereign state in the Pacific Ocean). These processing camps are run by the Australian Government. There has been international independent criticism of the conditions in which people are kept in these camps while their cases for refugees status are being assessed. Many have had traumatic experiences both in their homelands, from which they have fled, and in the camps in which they have been detained. President Barack Obama and Prime Minster Turnbull came to an agreement to re-settled a certain number of refugees in the USA when their refugee status had been established. There men, women, and children are now coming to the USA. St John’s works together with the charity Ads-Up (www.ads-up.org) in helping refugees settle in the USA, by assisting them in making social, professional, educational, spiritual, and other connections in the communities in which they have settled. This year and last St John’s raised over $4500 dollars for financial assistance to refugees through various parish fund-raising events. We have also been privileged to welcome some refugee families and single men to Thanksgiving and to other events here at St John’s. 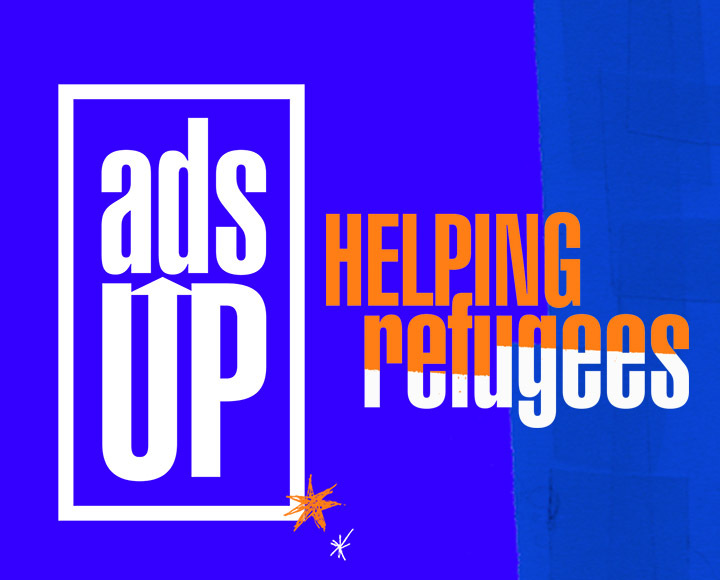 Together with Ads-Up we are now ready to venture into a higher level of fund-raising and awareness raising and the creation of an education fund for refugees seeking higher education here in the USA. On ANZAC Day 2019, Thursday 25 April, with thanks to Donna Karan for making a suitable venue available (her Urban Zen space on Greenwich Street), and Australians Naomi Watts (actor) and Laura Brown (editor), we are presenting a gala evening ‘It’s Your Shout’. This is a stand-up evening event, where the level of formality is hinted at by the dress-code: black tie, or beach, or both. Our Lenten project in 2019 will be with Una Voz Un Mundo (unavozunmundo.org) a charitable musical enterprize providing musical instruments, tuition, meals, and more to poorer children in El Salvador in its school Escuela Miguel Tomas Murillo, in San Esteban Catarina, near San Vicente, El Salvador. More information on how to donate to our Lenten project please contact our Administrator (admin@stjvny.org). St John’s international not-for-profit partner is OPHI, the Oxford Poverty and Human Development Initiative (ww.ophi.org.uk). OPHI is an non-governmental organization which uses multi-dimensional poverty measuring to analyze poverty across developing and developed nations, with a view to helping nations better understand and address their poverty issues. OPHI’s UK base is the University of Oxford. St John’s is the USA home of OPHI and, among other things, hosts OPHI personnel during the United National General Assembly in September each year, at which OPHI, invited by national governments around the world, reports on its research findings and recommendations. The Reverend Dr Sabina Alike, Founder and Director of OPHI, is an Honorary Assistant Priest of the parish.